Make any car or room that has a 3.55 millimeter AUX stereo audio connection Bluetooth-compatible with a Premiertek wireless receiver. Simply connect the Premiertek Bluetooth receiver to any line-in or auxiliary input, and it can now drive music to that input. 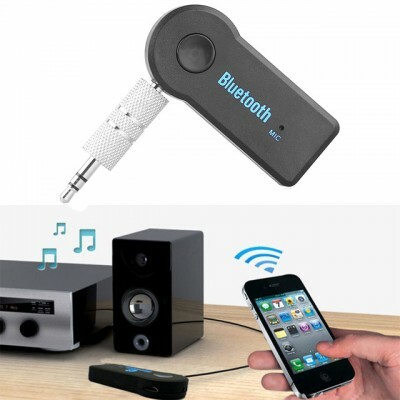 Once connected, you can pair it to any Bluetooth-enabled device, like smartphones and digital music players. The receiver has a built-in rechargeable lithium-ion battery. A mini-USB cable is included to recharge the device.